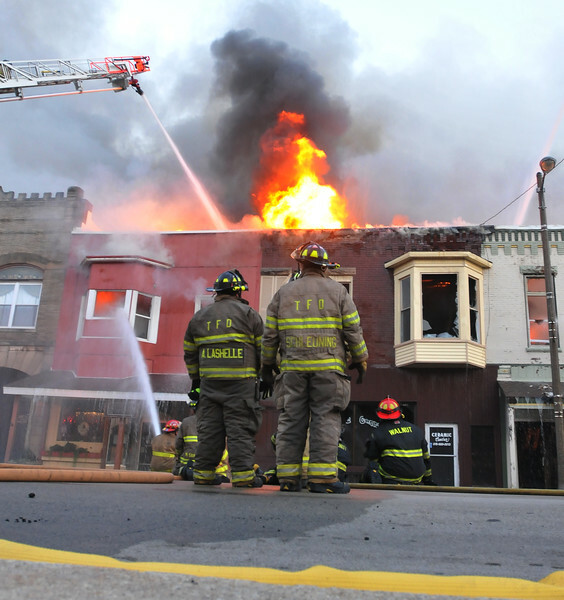 Firefighters direct water at several burning buildings in downtown Prophetstown, Monday, July 15, 2013. Firefighters were called to the seen a little after 2 a.m. The early morning fire destroyed eight buildings with shared walls and swept through several apartments above. Firefighters and neighbors were able to evacuate everyone and no one is believed to have been injured.